Twin XL would like to wish you a Happy Holiday season! The holidays are a great time to get your loved one living in a residence hall some twin XL bedding. Dorms or residence halls can be hard to find sheets and bedding for, especially around the holidays. Twin XL makes it easy by providing a range of gifts that would suit and residence hall bedroom. We have twin extra long bedding for girls residence hall bedroom or a guys residence hall bedroom. When shopping for residence hall bedding, make sure you select the extra long size comforter, sheets, etc. These dormitories contain the longer mattress for the young adults who sleep on them. Comforters need to hang of the ends of the bed evenly. Using a regular twin size comforter will not accomplish this. Keep the same thing in mind when looking for residence hall sheets, extra long twin is the way to go! These sheets should be able to fit a mattress 80 inches long. We recommend the deep pocket fit sheets, in case your mattress is abnormally thick. If you have any questions contact us online at TwinXL.com. 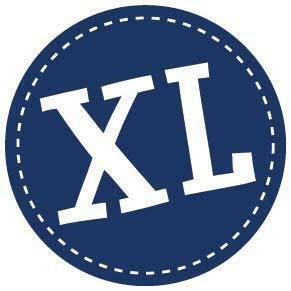 win XL Sheets - In patterns and colors. If you are a college student or parent of a soon to be college student you should know that most college residence halls have beds that are size Twin Extra Long. residence hall linens at the lowest prices. Quality linens to bring comfort to your dorm residence.